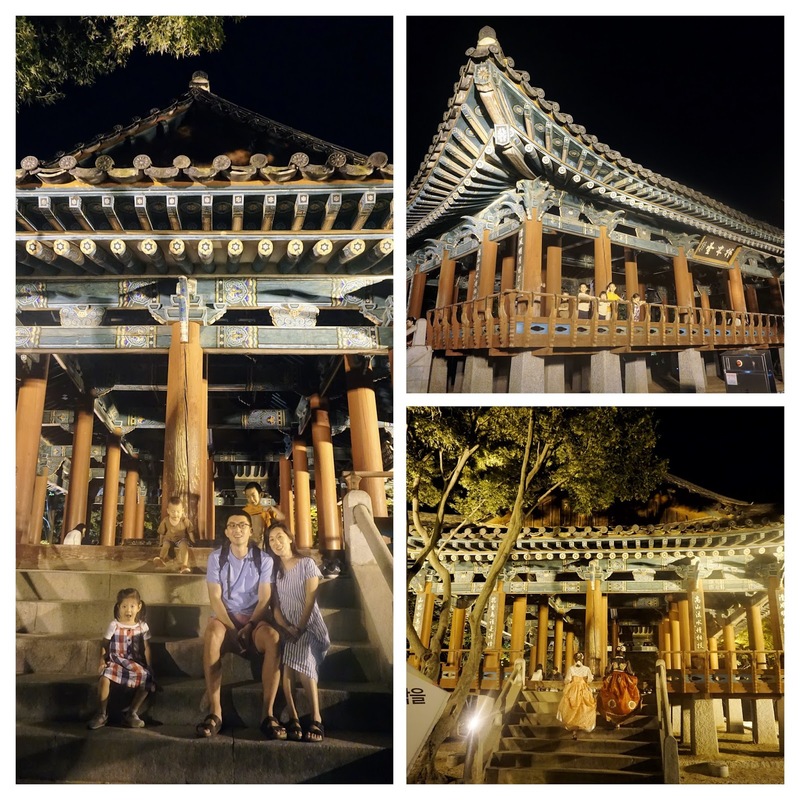 Our family just came back from Jeonju Hanok Village and I couldn't wait to share all about it! 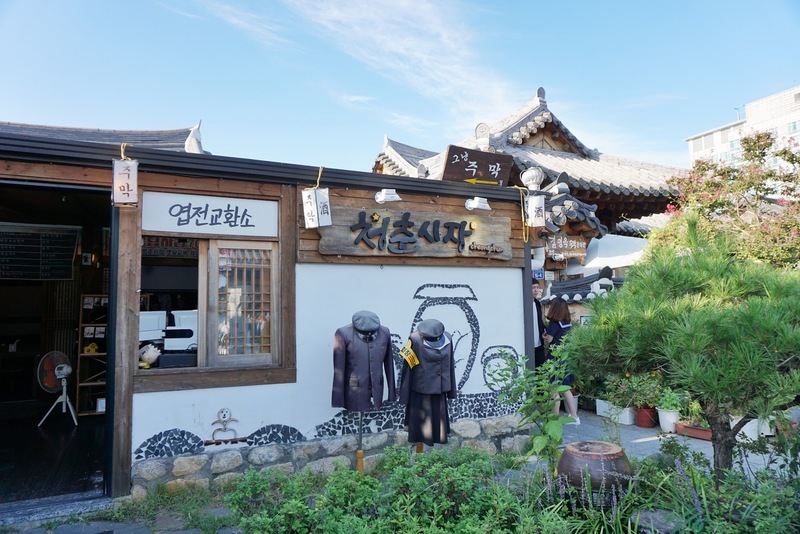 Jeonju Hanok Village is abundant in delicious Korean food, culture, activities and breathtaking views and scenery. 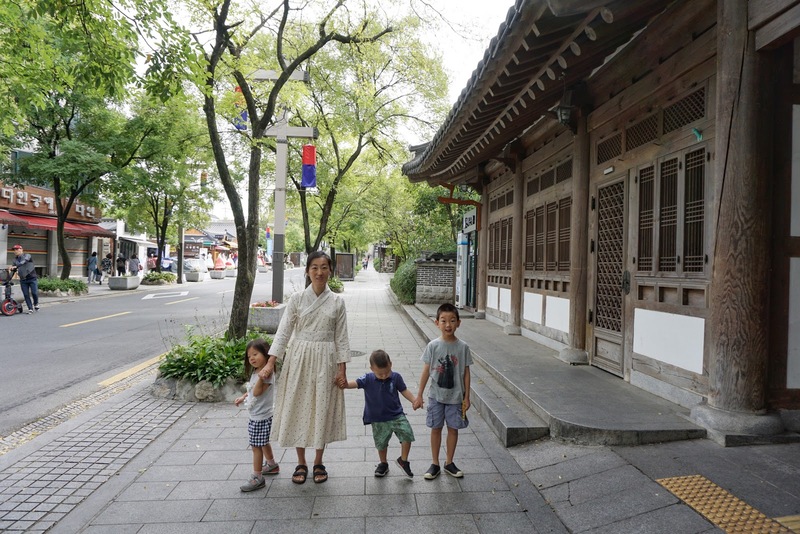 I'll be sharing all the must-do activities and eats and introduce a special hidden Hanok that you must visit. But first, how to get there. 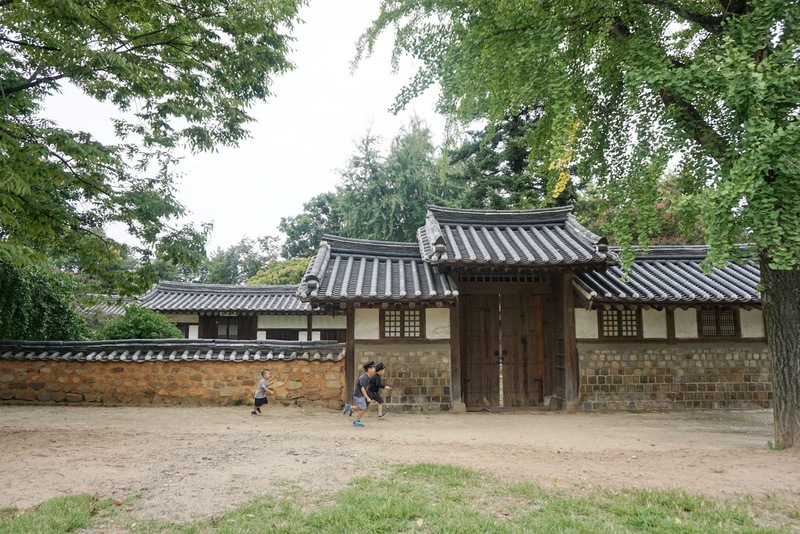 It's located in Jeollabukdo, about 3 hours south from Seoul. We drove and it took us about 3 hours to get there, but took 4 hours to get home on Sunday afternoon. You can take a direct bus from East Seoul Bus Station and Central City Bus Station. Once you get there, everything is in walking distance. 1. 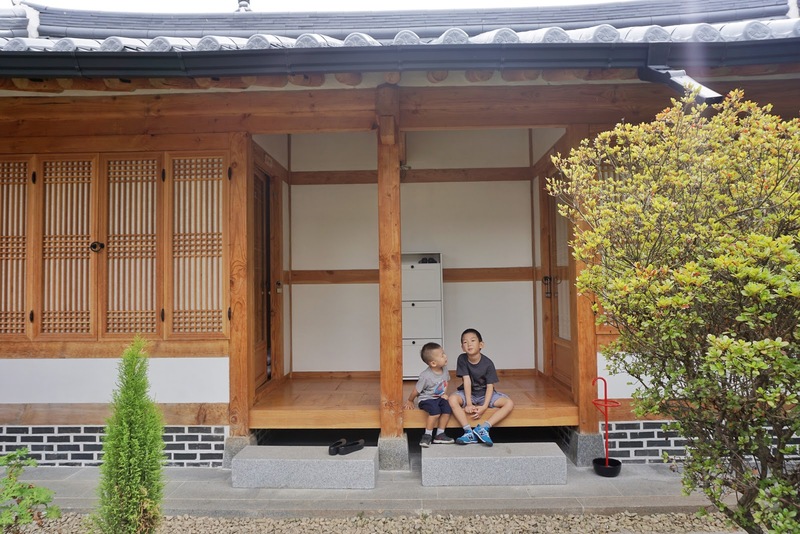 When you visit Jeonju, you must stay at a Hanok. 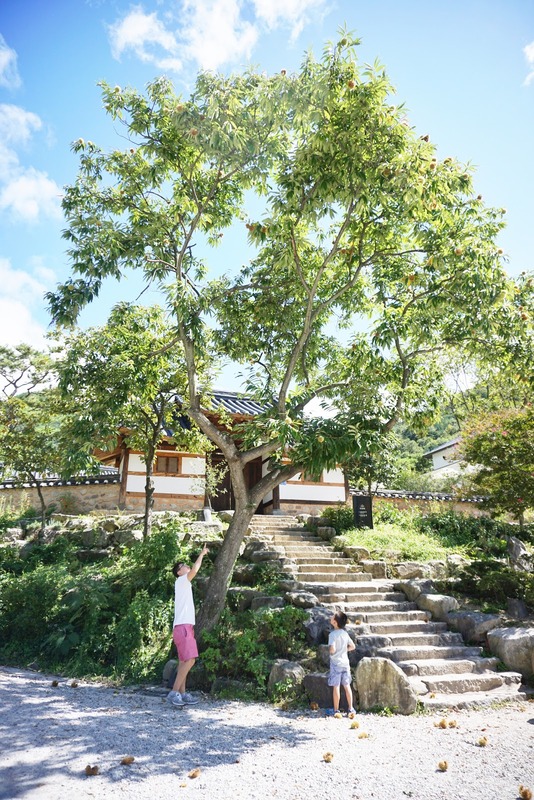 There are tons of Hanok guest houses you can choose from (expedia.com). 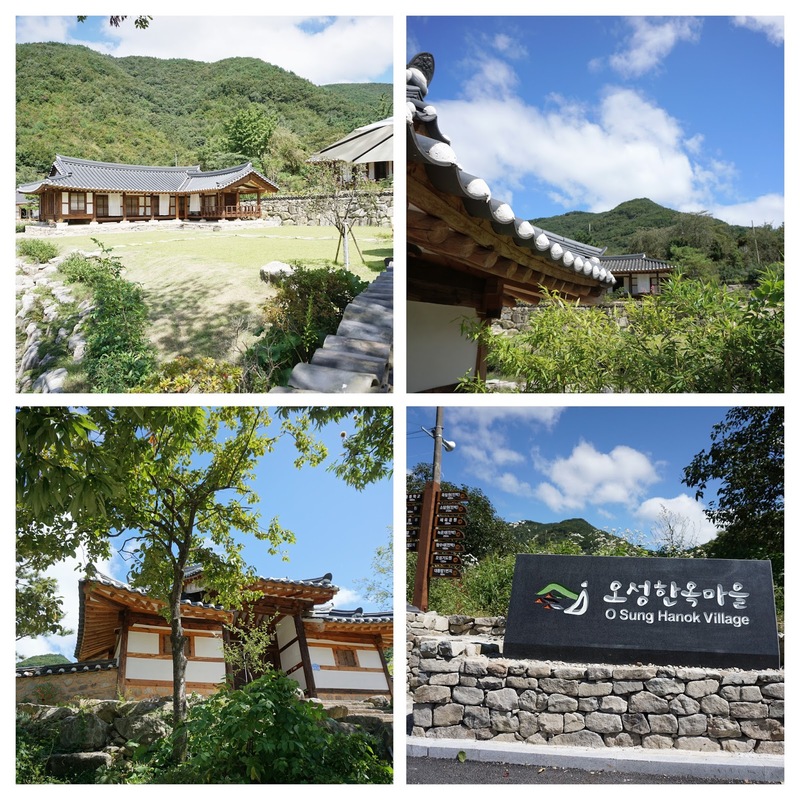 We stayed at Love Tree House (사랑나무) sarangnamoo.net. I decided on this place after researching because it was the cheapest for a family of 5, offers self-serve minimal breakfast (coffee, orange juice, bananas, and bread), and it had good reviews especially regarding cleanliness. I also liked this place because the rooms were not right next to each other like many other Hanoks that you can hear your next door neighbors. The owner was friendly and the place was very clean as I expected from the reviews. I must say sleeping on the hard floor was not easy, but the whole experience was well worth it. Here are some pictures. 2. 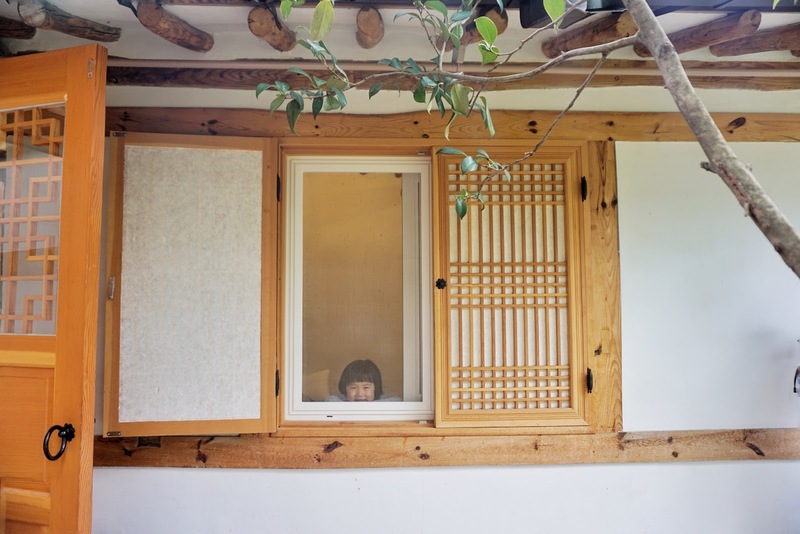 Most visitors rent hanboks or old school uniforms. If you wanted to try this but never felt comfortable, this is a perfect place for it since you'll fit right in. We rented old school uniforms all day for 15,000 won each. 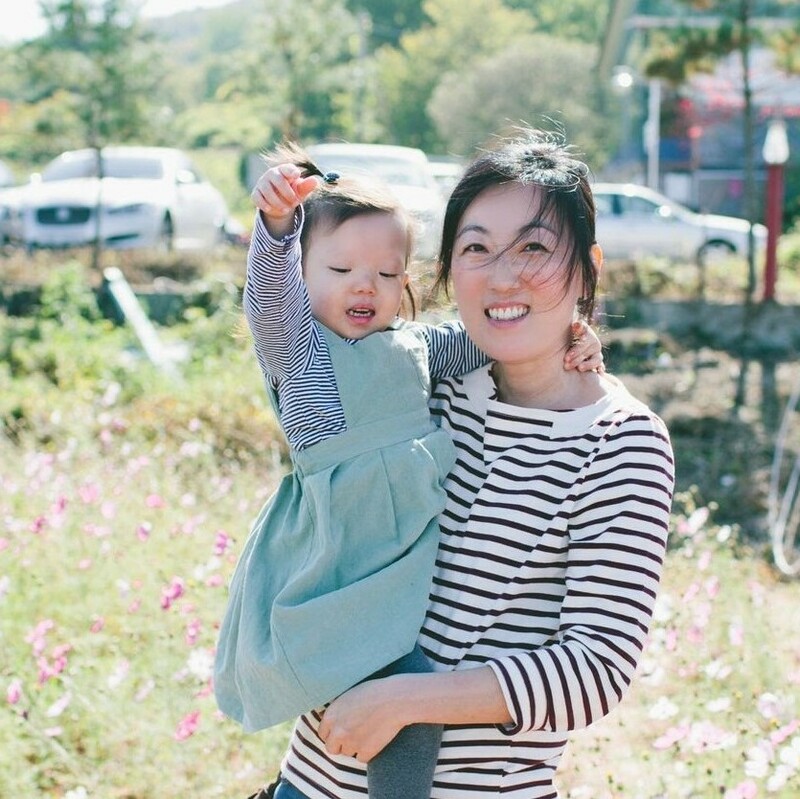 Hanbok rentals go for 20-25,000won all day and they even do your hair for you. There is a trend of people dressing up in opposite gender hanboks too to add some extra fun. 3. Don't miss out on the view! The first view is from Ohmokdae, but not on the top. 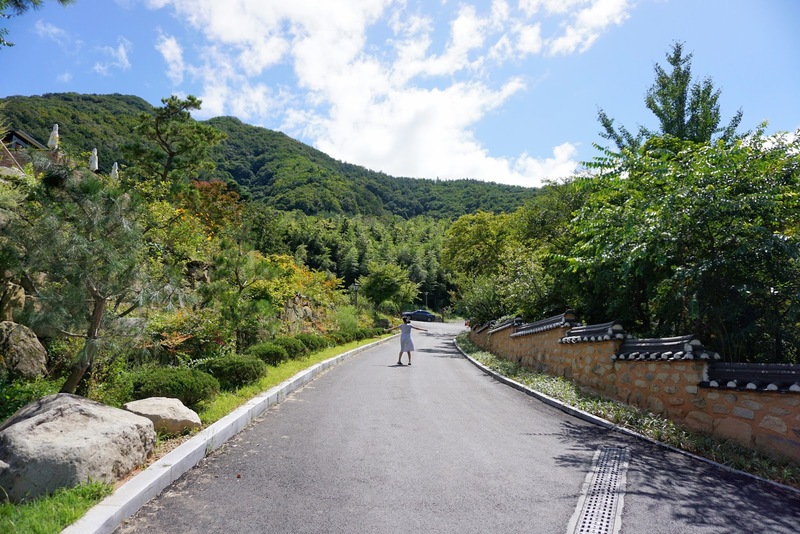 About a midway, you will see a path and it will take you around the Ohmokdae where you can see the view of Hanok Village from different angles. But I thought the cafe named View (전망) on the fifth floor had the best view. We went there for coffee while our two younger ones were napping in their strollers. It was a good place to take a break and enjoy the view. Ohmokdae night views on the top. We couldn't see the view of the village at night, so we went back in the morning and we are glad that we did! You can see another breathtaking view of the village from 남천교 (Namchun bridge). 4. Riding the electric scooters and rides for kids 15-20,000won an hour. 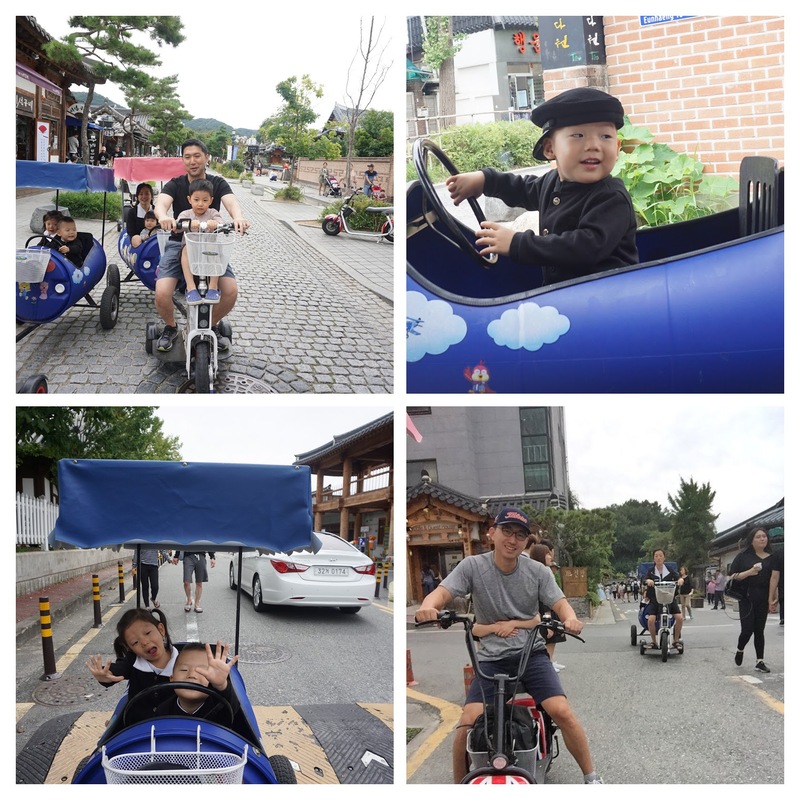 It was fun riding through the streets of the village and our kids loved it. You just need to be careful when the streets are crowded. 5. Visit some historical sites and museums. 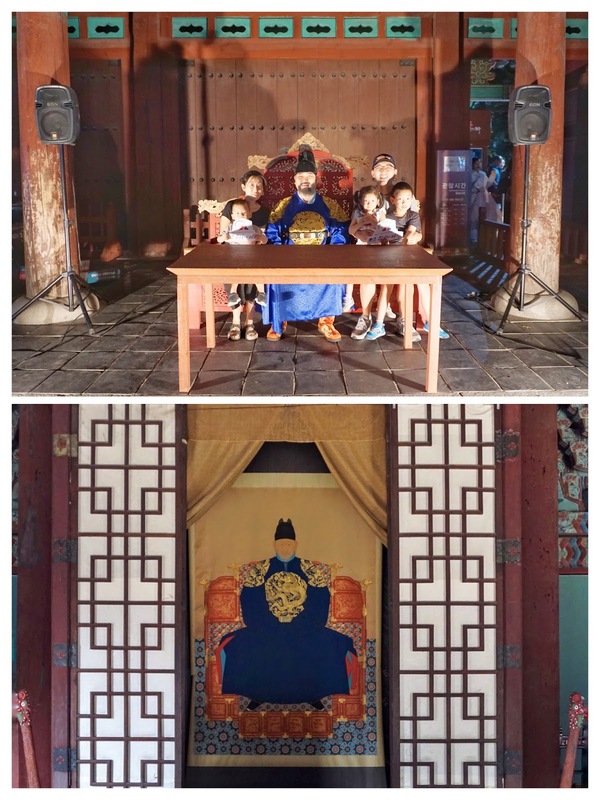 We visited Gyeonggijeon where a founder of Joseon Dynasty, King Tae-Jo's portrait is, Hanji factory (traditional Korean paper), and Sori (traditional Korean music) Cultural Center which was my favorite. sori.jjcf.or.kr They have different instruments laying around that you can try, they offer classes and hold concerts here. We got to hear one group rehearse for their concert that night. It was too late to come back out with our kids at night for the actual concert, so it was a treat to hear them rehearse. Right next to the Sori Cultural Center is a traditional Korean music radio station that you might want to check out too. 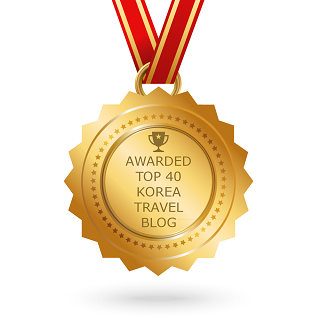 Some other museums are the Kimchi museum and Korean wine museum. They have educational kids programs here! Hanji Factory. This place is very small, but real factory that makes Hanji paper old traditional way. 6. Walk around and discover new places! Watch performances big and small and make lanterns. Jeonju is famous for delicious Korean food, but it's especially known for Bibimbap and Kongnamul-Gookbap (bean sprouts soup). Overall the food were all good~ very clean, natural, and healthy tasting. These are the places we ate. 1. 에루화 (Eulhwa) : This place is known for their 떡갈비 (marinated ground meat patty). They also have bibimbap and cold bulk wheat noodles and they were all good. Price from 6,000-10,000 won. 3. 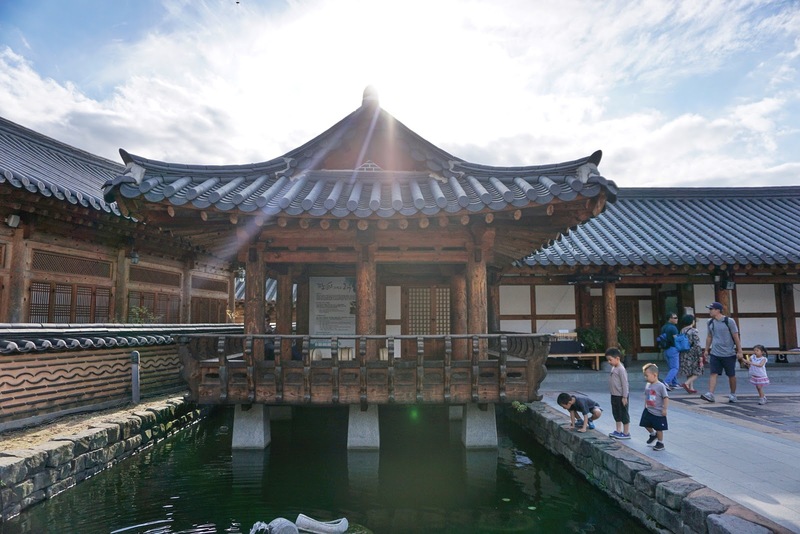 Another kongnamul-gookbap place 현대옥 (Hyundaeok). 6,000-8,000won. 5. 베테랑 Veteran, a noodle place. Their mandoo and soba noodles were also delicious! 5,000-7,000 won. One street food that I highly recommend is fried squid on a stick! So good!! 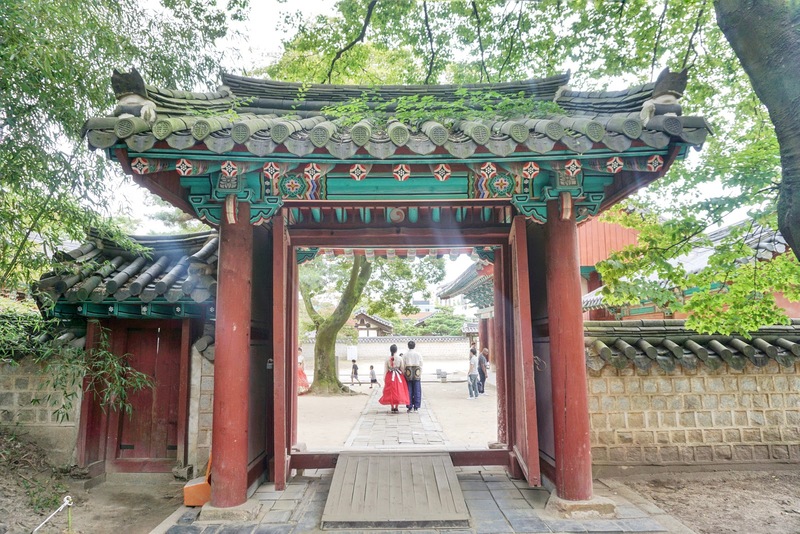 Whereas Jeonju is crowded with tourists, a hidden treasure awaits you just 20 minutes by car at O Sung Hanok Village. This place is more quiet and surrounded by mountains, mostly for resting and to enjoy nature. I loved it here. The view was absolutely breathtaking. I would love to come here with my husband or with girlfriends, or even alone without the kids to read, relax, take walks and do nothing but enjoy nature. 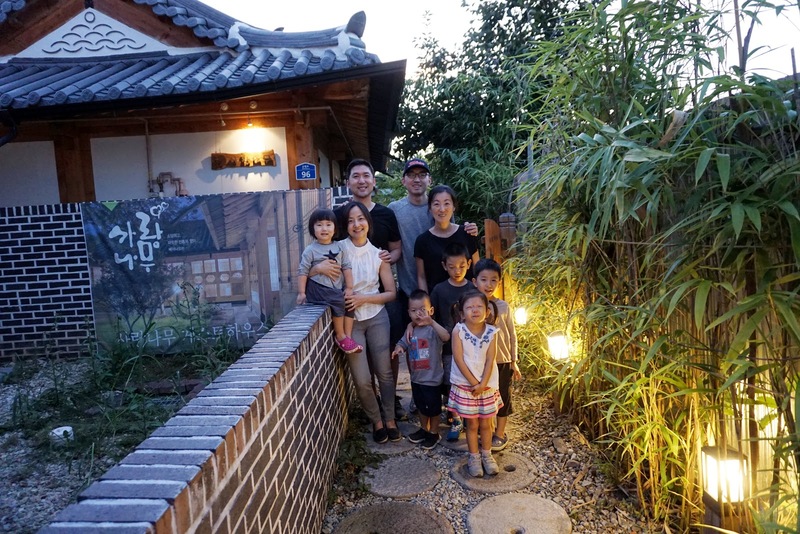 I highly recommend a Hanok Stay here or even just to stop by for coffee and delicious rainbow cake like we did. They spent good 20-30 minutes picking at chestnuts! I felt like I was floating on a cloud! I loved this place!!! !